Outstanding Contemporary Penthouse at the Gateway to Waikiki! An impressive, signature addition to your Real Estate portfolio. Its a beautiful way to come home ascending in your private elevator marveling at Honolulu below. Once you arrive you will never tire of the spacious luxury and sweeping views from the mountains to the ocean. If you're an art collector, you'll feel at home instantly with a collection of work by internationally renowned Artists gracing the walls. A great opportunity if you have a few cars in the collection too.. It's a lifestyle with terrific amenities to compliment this user friendly and pet friendly environment nestled among world class dining, Ala Moana Shopping Center and beaches of Waikiki. Fitness Center coming soon! 5 Parking Spaces. Assigned Parking Space, Garage, Guest Parking. 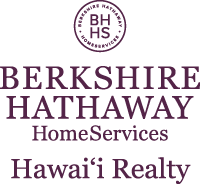 I am interested in 1888 Kalakaua Avenue UNIT 3801, Honolulu, HI 96815. Sign up for Inside AccessTM to view recent sales near 1888 Kalakaua Avenue UNIT 3801. Courtesy: Pacific Home Prop. Mgmt., Inc.